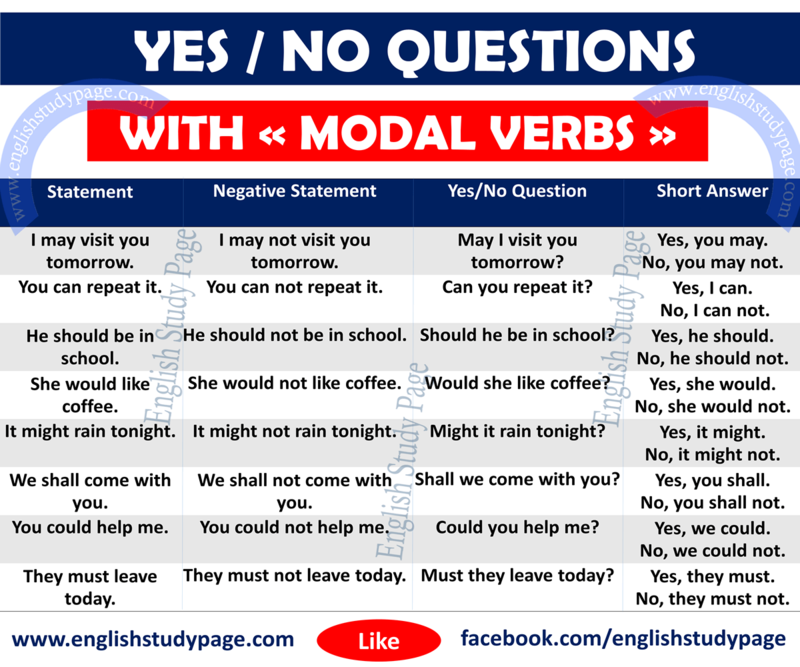 We use modal verbs in yes no questions when asking about possibility or uncertainity. 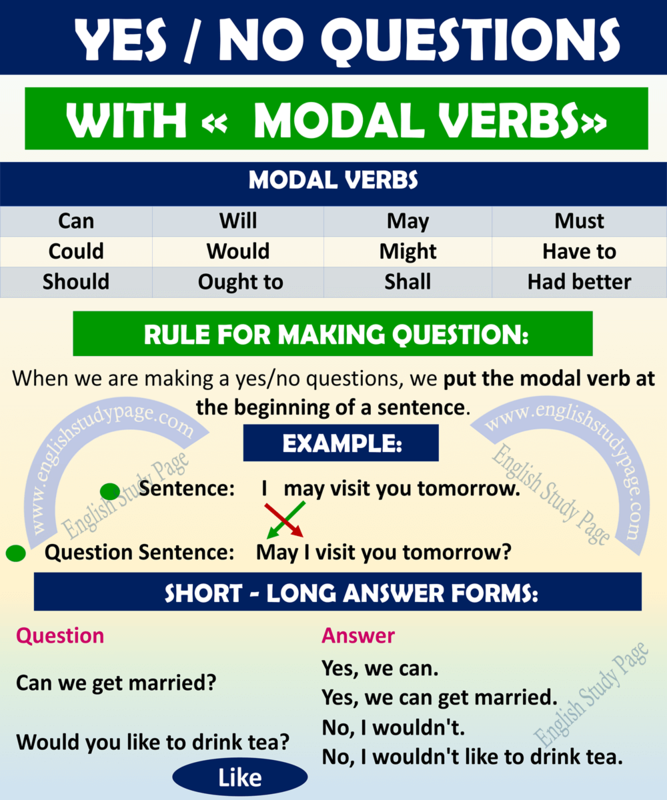 All modal verbs are followed by a main verb in its base form ( V1 ). 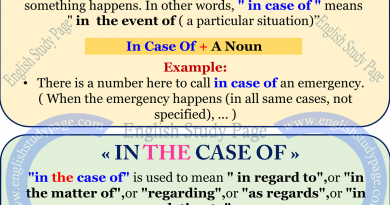 Subject + Modal + Main Verb + …. 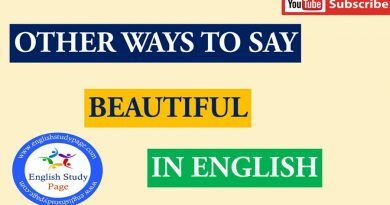 Examples:I can swim.We must go.You should do your homework. They must wait for us. 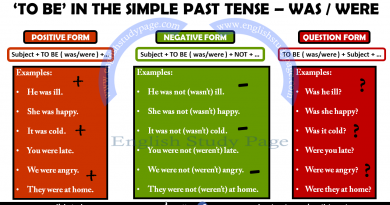 Modal + NOT + Subject + Main Verb + …. We can be friends. Can’t we be friends? I will let you go. Won’t you let me go? You should be in school. Shouldn’t you be in school? He ought to study hard. Oughtn’t he to study hard? They could ride. Couldn’t they ride? Might he come tomorrow? Yes. / Yes, I might. / Yes, I might come tomorrow.